It seems to be a little off-key to compare the similarities (and differences) between slavery and the use of fossil fuel, but nonetheless we can gain a lot from doing so. "Once men abused slaves, now we abuse fossil fuel" is the title of a piece by Jean Francois Mouhot in the Guardian (based on an article in climate change - free pdf available!). Why is all of this relevant for climate change policy? Our contemporary economies have become extremely dependent on fossil fuels, just as slave societies were dependent on their slaves – indeed far more than the latter ever were. As one scholar remarked: "That US Congressmen tend to rationalise fossil fuel use despite climate risks to future generations just as southern congressmen rationalised slavery despite ideals of equality is perhaps unsurprising." For example, the history of the abolition of slavery, in the UK at least, suggests that an incremental approach and the development of compromises worked better at moving the cause forward than hardline stances. The evidence also implies that slavery came to be challenged and finally abolished when people became aware of an alternative. This alternative – steam power – was of course a great moral improvement until we came to know the consequences of fossil fuel consumption. This, in turn, suggests that we will restrain our use of fossil fuels if we can favour a new energy transition and find clean sources of energy – and that we should concentrate our efforts on developing "green" technologies at the same time as reducing our consumption of fossil fuels. There are some arguments in this article many klimazwiebel readers will not support; anyway, in my reading Mouhot gives an interesting twist to the relation between fossil fuel industry and global warming, which normally ends up in the "skeptic" discussion. That "our addiction to fossil fuel is increasingly destructive" is a statement that might be shared across partisan lines. What I like most about this article (which is both light-weighted and well argued), is that it opens a line of thought to get out this mess. Even more, it has the air of resistance, a touch of the "occupy Wall Street" energy. Maybe it is indeed time to focus on questions of how to take action instead of endlessly debating that the fossil fuel industry supports skeptical science and the NGOs corrupt science from the other side. Big yawn, once and for all. Why not think about how to get rid of "crude politics" (hope this wordplay works in English!) at all? (Concerning the case of Texaco in Ecuador - see the image above - there is a disturbing piece in The New Yorker; whatever you get out of it, finally it shows how deeply crude messes up not only our morals and our way of life, but also ruins our sense of reality. We discussed this case before, for example here. 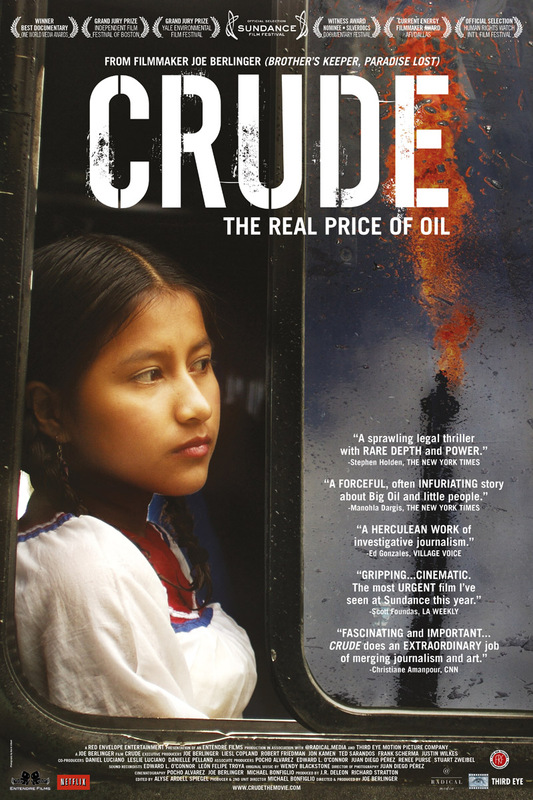 Whatever your opinion in this case is - the Ecuador case is not really at debate here - I love the blatant symbolic imagery and the line "the price of oil". The Mouhot article takes on the feeling and brings it into a slightly different context). Right! Fossil fuel and slaves -- pretty much the same thing. Good that "policymakers can find inspiration from the campaigns to abolish slavery and use them to tackle global warming" now. US can play leading role: Guns abundant and a persuasive precedent. His soul is marching on. who is different from Bob Dylan's John Brown, who went to war and came back "his face shot" and with a metal waist, realizing that he was just another "puppet in the game". To answer your question form the other blog "Gekaufte Wissenschaft" ... "Könnten Sie kurz Beispiele angeben, wo Skeptiker als "Befürworter der Sklaverei" dargestellt werden? Und wo Sklavereiopfer verhöhnt werden?" "Once, men abused slaves. Now we abuse fossil fuels"
Comparing slavery with the use of fossil fuels? What ever Muhot might have in his mind, he should not deride the slavery issue, never - not even to the slightest extent. Even the author of this strange piece of argumentation seems to feel uncomfortable some how: "Obviously, there are differences between the use of slaves and of fossil fuels. Fundamentally, slavery is a crime against humanity. Fossil fuel use is not a moral evil." Indeed! "It should thus come as no surprise that there is so much resistance <> to climate science. Our societies, like slave-owning societies, have a vested interest in ignoring the scientific consensus (!). Pointing out the similarities between slavery and the use of fossil fuels can help us engage with the issue in a new way, and convince us to act, as no one envisages comfortably being compared with a slave-owner". Sort of a sequel of "We know who you are. We know where you live. We know where you work. And we be many, but you be few”, remember the one? Back to the essay ... "policymakers can find inspiration from the campaigns to abolish slavery and use them to tackle global warming"
In the the author's view there exists nothing but consensus - and on the other hand campains against the latter. Not even a shade of doubt, no skeptical science. "steam power – a great moral improvement"?! Another strange claim but - how about calling the use of fossil fuel a "moral improvement" as well?Energy helping countries all over the world to develop - even when taking in account the damage done by the oil industry, transports etc.? Having a look at the numbers - and a true story of success: thanks to cheap energy there are more people living on earth today, earning there life, having access to clean and fresh water, nutrition, health care, education, clothing and shelter than ever before - even if it must be admitted, there are still too many starving. Shall we help them to develop oder tell them frankly, if they start to use fossil energy they will be "compared with slave-owners"? - by post-industrial wealthy and pharisaic eco-warriors? You have to read between the lines trying to understand what we are told in this essay. There is a lot of cynicism in it mixed with poorly hidden malthusianism - and, last but not least, some rather strange arguments against a skeptical view on the climate and energy issue. So how to agree with sentences like "to rationalise fossil fuel use despite climate risks to future generations just as southern congressmen rationalised slavery" - without accepting the same time that any different view on the subject will fall under the same judgment? Bin übrigens auch kein Fan des Artikels, obwohl ich dennoch einige Aspekte - wie auch Werner - interessant finde. Bin ich nun der Sklavenhalter oder habe ich mich nicht selbst für Konsum und Wohlstand versklavt? All that you point out here is that Mouhot is not a skeptic. Right, I agree. And you tell us why alarmists are wrong. Okay. I think I have heard one or the other argument before. And yes, when he writes "as no one envisages comfortably being compared with a slave-owner" he crosses a line. This gives you the license to play the political correctness card, which you willingly do. Alright. You do so. Okay. And after having gone through this routine, we can go back to the article and discuss its interesting aspects - if there are some (as I have guessed) and if someone is still interested to do so. there are interesting aspects no doubt, but I think the analogy between slavery and fossil fuels does not quite work. First, slavery was not abolished because steam engines were developed that could take over their task. There are societies which did not use slavery, and did not have steam power. Second, even today slavery has not disappeared; it is no longer dominant or widely used, but nevertheless present. I am sure you know the relevant studies. And there are slaves that do not fit the normal picture of degraded poor people, think of sports stars who are owned by clubs. Third, slavery has been widely replaced by wage labour (which Marx sometimes called wage slavery). And if you look at the meanest jobs that are available you will see a colour-coded workforce. Yes, slavery still exists, but the slave system as it existed in the South disappeared. Anyway, the comparison sounds forced, and the author - as V.Lenzer and Andreas also pointed out - stumbles several times across the incomparability of people and things. The Hyperion (and the e-cat if is can be industrialized as said). the greek (don't laugh, ironic) company Defkalion Green Technology have developped a well engineered Cold Fusion reactor, the Hyperion. today propose 45kW for 5500eur, with biannual maintenance of a few 100Eur. they have made a call for independent test to clear any possible doubt in the public. should be done in 2 month. if you look for theory, best candidate is Widom-Larsen.